Dead malls are being rebuilt or remodeled to useful space to help today's society. Union Station Mall was the biggest mall in St. Louis when it was in its prime days. 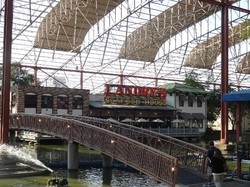 It had a train station that connected to it along with a hotel and numerous restaurants. 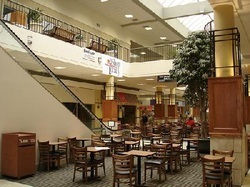 The mall started dying when people started leaving the area because they could no longer afford the area. First the train station started dying then the hotel and then finally the mall started having stores close because they weren't bringing in any money. If you go into the mall today you will see that some stores are still open but not stores that people will go to every day. In some parts of the mall they tried to create a museum about the train station that was once there but that failed to produce money because no one really cared. Most of the restaurants that were once there are no longer in business. They plan on remodeling the train station and mall to bring back business to where the mall will be up and running again and start bringing in money. 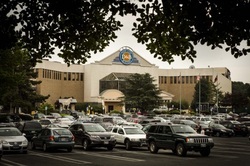 White Flint Mall in Maryland was a very popular mall before it closed. At its peek it was the biggest mall in the United States. Now that it is closed they have all this space that they haven't used in a long time. They decided to create it into a small community. They are creating the space into housing, offices, shops and parks. They are really focusing on making it into a Plaza space that is a safe environment for all kinds of people. They are building walk ways and bike paths so you won't need a car to go places. They plan on making the space that was once the largest mall into a space that benefits the community in the long run by adding jobs and places to live for people and also keeping it a safe environment. With malls dying communities don't really know what to do with the space because it costs more to demolish everything than to remodel or rebuild it. Communities are really focusing on making the space to help the community and help bettering it in the long run or using the space wisely that will be used for years on end. This topic was pretty interesting because you get to see what old malls are being turned into and how they are being used now days. They really like to turn old malls into things that will benefit the community or at least benefit what goes on already in the community.